It is believed that the rat population on earth is almost twice as large as humans. The average lifespan of rats is only from one year to two and a half years, but these animals are unusually fertile. 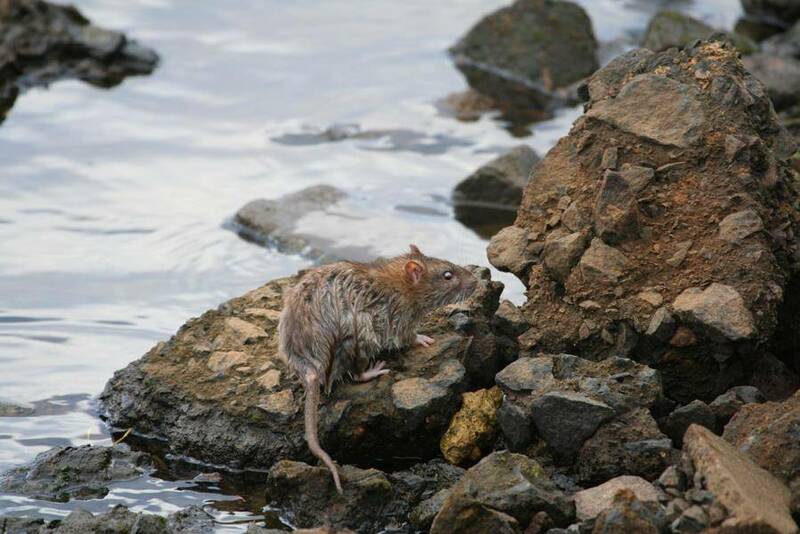 Rats thrive in almost any condition, hot or cold. They live and breed in areas cold with temperatures of minus 18-20 degrees, as well as extreme heat like the lining of steam boilers. These temperatures are constantly above 50 degrees. These vermin are also able to withstand high levels of radiation. Rats can fall over 5 storied high and sustain little to no damage to their bodies. A Rat is equipped with great hearing, they can hear sounds with frequencies up to 50 kHz (people – up to 20 kHz). Rats are unique animals with advanced intelligence. Some scientists even conclude that rats are nothing more than a civilization accompanying people. They live like people and have: hierarchy, language, relationships, and so on. Western “stars of science” claim that a sense of humor is not alien to rats and they can even laugh. It is very difficult to eradicate these tenacious, unique, well-organized, intelligent animals. The best way to perform rat removal is by playing on their weakness, their hunger. Without water, the rat will not last even two days. Rats needs 30-35 ml of water per day. But without food, rats do not survive more than three to four days. Rats live almost everywhere: in Europe and Russia, in Asia, in North and South America, in Australia and Oceania (species Rattus exulans), in New Guinea and the island countries of the Malay Archipelago. The only place these rodents are not found are in the polar and circumpolar regions and in Antarctica. Rats are omnivores, and the diet of each species depends on the habitat and lifestyle. On average, each rat eats about 25 grams of food per day, but rodents do not tolerate hunger and after 3-4 days of starvation inevitably die. The animals are less worried about the lack of water: for a normal existence, an animal needs 30-35 ml of water per day. When consuming wet food, the daily intake of water is reduced to 10 ml. Next, to the dwellings of humans, rats eat any available food. Rats that live far from human habitation feed on small rodents, mollusks and amphibians (frogs, toads, tritons ), eat eggs and chicks from nests located on the ground. Coastal dwellers consume emissions of marine flora and fauna throughout the year. Rat plant food consists of grains, seeds and beautiful parts of plants.